From pregnancy through baby’s first year, all mothers need this advice. Highlights the importance of mom’s oral health and that dental care is generally safe during pregnancy. 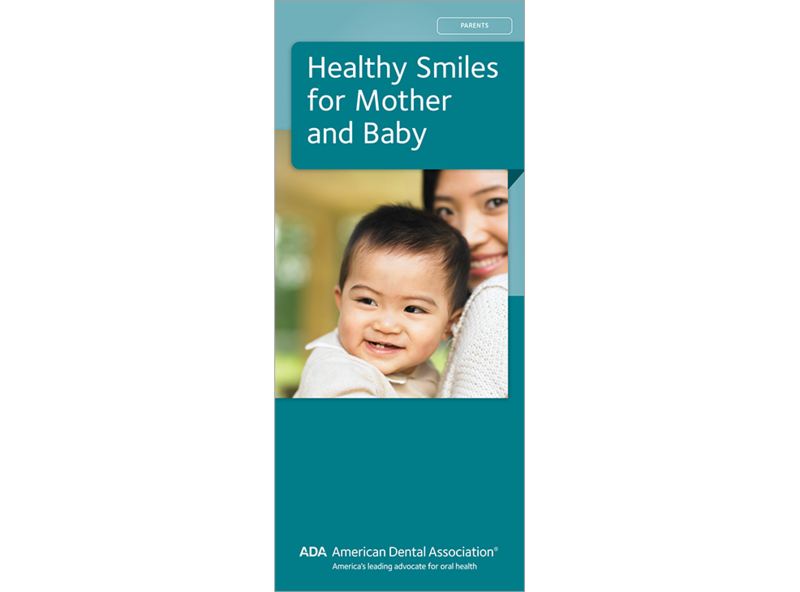 Offers tips for starting baby off with healthy habits and finding a dental home. Alerts moms that decay-causing bacteria can be passed to the baby. Order the personalized version of this brochure and generate referrals from local OB-GYNs! Minimum order 150. Click Add to Cart then personalize for free. Now you can add personalized information on the front, back, or both covers on all brochures.